This announcement caught my eye having played loads of Rogue Legacy and Binding of Isaac in passing weeks. Though thumbs are sore, I can’t get enough of the metroidvanias and rogue-likes being offered in the indie space lately and this looks like a beautiful addition to that list. The nefariously difficult 2d platformer contains puzzles that require players to retain information in order to solve, according to the PlayStation Blog. Let me acknowledge that I just finished Rogue Legacy with something like 90 hours invested. La-Mulana looks like the perfect game to take that “hack, slash and jump” role in my life while also intriguing me in a more complex way with the promise of complicated puzzles. At some point, floating through my twitter feed over the last week, a mysterious link to a website popped up that grabbed my attention. I am very happy to have clicked that link. What I discovered was a game called Downwell and it fits perfectly into this conversation about the growing indie space. The game is being developed by Japanese first time developer Moppin with backing support from Devolver Digital. The game is announced for IOS, Android and PC. This fact initially lost my interest until I saw that is being published by Devolver Digital, responsible for bringing us the Hotline Miami series, OlliOlli and The Talos Principle. The explanation is simple. “A curious game – about a young man – falling – down a well -battling enemies – with his gunboots – and collecting treasure. -And sometimes visiting shops.” The message is segmented along an animation pulled straight from the game. The graphics are ancient; reminiscent of Donkey Kong when he was still throwing barrels at Mario. Strange. Simple. And quirky. This would be the perfect game for Vita, though it sadly won’t be happening. This will be one of the few games I purchase on steam. This is the best string of affordable games that you will see this year, mark my words. Including three of my most highly anticipated games to be release this year, this announcement had me more than excited. Hotline Miami 2, Axiom Verge and Shovel Knight are all to be released during the Spring Fever Sale on the PSN store. Helldivers, Jamestown+, Metal Slug 3, Bastion and Titan Souls are included as well, though they were not yet on my radar. Scheduled to start March 3rd, the sale will last eight weeks. A different game will be announced every Tuesday throughout and will be obtainable for discounted prices for all PS Plus subscribers. Purchasing all eight titles will run players just shy of $110. This bargain is a steal and with this many beautiful and unique titles, you’d be foolish not to take advantage. If this game simply involved roaming the landscapes painted in the screenshots, I would be sold. 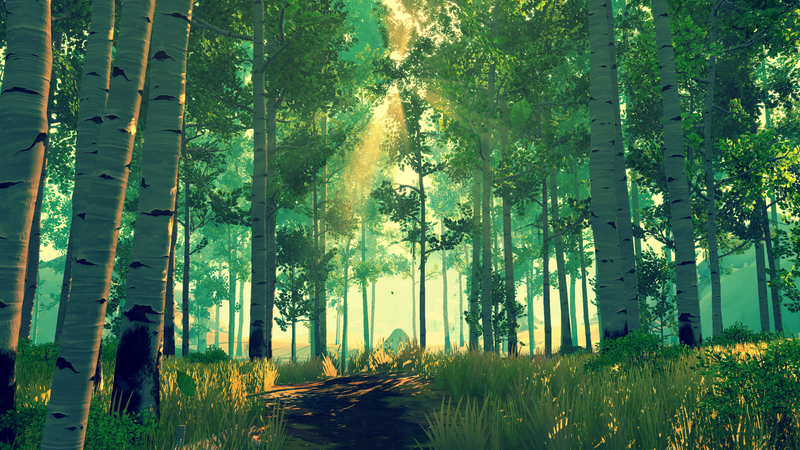 “Campo Santo is a small but scrappy studio in San Francisco,” according to their website and they have put together a unique looking game called Firewatch. you’ve taken a job as a fire lookout. except for a couple missteps with the law and their rules about drinking. This job is exactly what you need. A quiet job in the middle of nowhere. 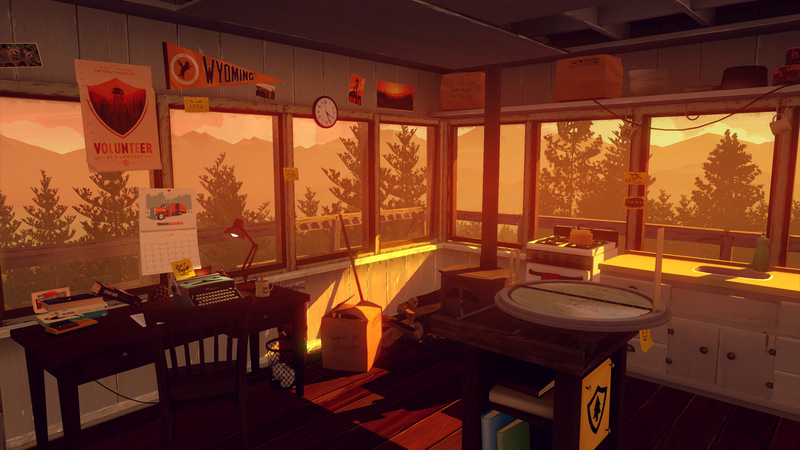 The game begins with playful dialogue between the protagonist, Henry, and his supervisor, Delilah, as he sets out on the task of the fire lookout ranger. It’s charming. And visually the game stands apart from the crowd. The sun sets, the sky streaks and then illuminates with all shades of reds and oranges, before finally vanishing over the horizon leaving the deep blue night sky peppered with starlight. As the video continues it takes a turn for the strange as Henry spots a figure staring at him from the mountain and gets back to his lookout tower to find its been broken into. 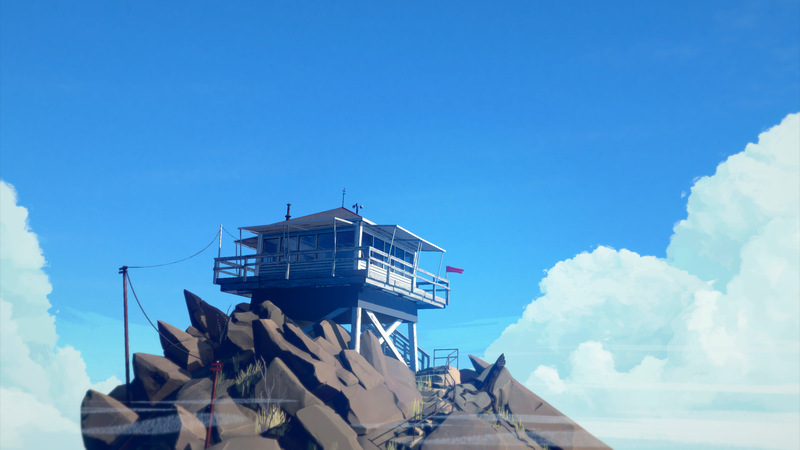 There’s a mystery in the mountains and I am anxious to jump in and see what Firewatch has to offer. On March 10th fans of Farcry 4 will be able to return to Kyrat. This is welcome news for players, like myself, who have beaten the game and are waiting a reason to return. Gale finds himself in a down helicopter in a new area of Kyrat, covered in snowy mountains and inhabited by the mythical yeti. That’s enough to sell me… there’s a yeti. Done. Take my money. But it doesn’t end there. The tribes in the area aren’t fond of Gale and pose as a double threat. But worry not; the entire DLC can be played multiplayer. Just have friends join your game and Gale will reunite with his co-op buddy, Hurk. I’d even speculate that Hurk will offer some crazy new weapon, seeing as he previously introduced the harpoon cannon. The Evil Within is a game in which I started but couldn’t finish. Something about it is just not quite right. Not in the unsettling sense, which the game does well with its disturbing imagery and creepy tones but more like its just a little forced. Without critiquing the game any further, I admit that the games DLC is arousing an interest that may force me to steal my roommates copy for a while. The DLC, titled The Assignment, will follow Castellanos partner Juli Kidman. It will tell the story of her whereabouts during her time away from Castellanos during the main plotline, though the telling will not be wrapped up until the second DLC. Made fairly affordable, $9.99 a piece or $19.99 for a season pass (3 DLC total), the DLC may breath new life into this horror title for me in the same way that Outlast’s DLC did the same. And there’s still a sh*t load of problems preventing it from happening. BUT… apparently… it’s still happening. I could, personally, care less. But hey, if it’s you’re thing, I’m not going to be the one to rain on you’re parade. The game streaming service continues to announce additions. Having played through a free trial by revisiting an all time favorite, Shadow of the Colossus, I can see the appeal of this service. With countless hours of nostalgia available via the internet and a subscription, Sony’s game streaming service has a real draw. My one gripe, and a that rings across the internet, is with the price tag. The service will set users back $20 a month. In a day where subscription services are becoming more and more a part of the standard for entertainment needs, that’s a hefty bill. They games are all dated; the point of the service is to provide PS, PS2 and PS3 games. If a video game subscription service like Gamefly cost around $15 a month and contains brand new games, its seems like a more appropriate bill for the PS Now service is in the $10 range. Maybe $15. But if you happen to be seeking an older title and own a PS4 or PS3, the free trial and renting options are worth noting. PlayStation has typically provided us with timely announcements of the PS Plus free games line up for every month a week or so shy of there usual, first Tuesday of the month, releases. As I write this, it is Monday evening. Tuesday is mere hours away and still no announcements. A week ago, news of the mystery began to sprout in place of the typical announcement. I figured Sony was working out some kinks in plans or just wanted to build suspense. Now, I find myself wondering what went wrong. Or is it a big surprise? PS Plus subscribers look forward to the free games announcement though and Sony is playing with people emotions! Playful melodrama aside, the lack of any real announcement has me intrigued. I anticipate the early hours of tomorrow. Heh, ok. This one’s weird. This absurd collector’s edition is a one of a kind. Like, literally there’s only one. The “MY Apocalypse” collector’s edition, only available in the UK, gets your face scanned into the game and includes four copies of the game, a livable zombie fortification dwelling, “zombie avoidance parkour” lessons, a multiplayer match against the developers, a trip to Wroclaw, Poland to visit Techland studios, night vision goggles, diapers, two high quality gaming headset and last, but not least, a life sized figure of the one of the volatiles from the game. If zombies ever actually happen, I hope I can find whoever buys this thing. Well, it’s seems that this iteration to the franchise contains content “generally suitable for ages 17 and up.” Which begs the question… Just what IS going to happen in this next Batman game? If you saw last years E3 footage, you’re aware of the aura surrounding this title. It looks dark. Darker than the previous games, even. And with some of the footage being released as to the villains in this game over the past week, this makes the first Arkham game that grabbed my attention BEFORE launch. This isn’t one to miss. DAMN! We’ve been waiting along time on this one. Originally paired with the release of the game on last-gen consoles, then delayed, set back, cancelled? No, not cancelled. Re-announced. Delayed again. And again. Most had all but given up on the elusive heist. But the day has finally come! Rockstar has given us a tangible release date. And it’s right around the corner. March 10, owners of Grand Theft Auto V will receive heists as an update, free of charge. The fact that I even have to state that it’s free of charge says something. It had been so long that I had forgotten that this was supposed to be part of the game… In my head, it had become DLC content. I almost expected to have to pay $10-$15 for this thing. But thankfully, that is not so. Heist will give me a reason to jump back into what was my favorite game for nearly a solid year. And with plenty of friends recently purchasing the game for next gen, GTA V may feel like a new game again for me. Rumors following the announcement of heist have surfaced that lead some to believe that Rockstar plans to expand the story mode. Fans have pointed out several unused structures and areas of the map, all of which lead to further speculation. Though, after my experience with waiting around for heist, I’ll believe it when it’s announced. I feel as though I have opened all of my news posts with a disclaimer of some sort… so why break the habit! Though I’m throwing it at the end this time. “GAMERFUQS Replies to the News” is a segment in which I attempt to convey what I feel to be the most exciting news of the week. I want to make a point to say that there is a TON going on out there in which I will not have covered here. Maybe I missed it. Maybe it doesn’t interest me. This is simply a collection of the most note worthy news, through my eyes. If you think I’m missing something, feel free to comment OR get in touch and perhaps develop content for GAMERFUQS. THAT HAS BEEN GAMERFUQS REPLIES TO THE NERDY NEWS!